HOUSTON, Texas (KTRK) -- A Houston man is warning others about the dangers of e-cigarettes after a battery from a vape pen exploded in his pocket. The explosion left Glenn Granger with second- and third-degree burns. 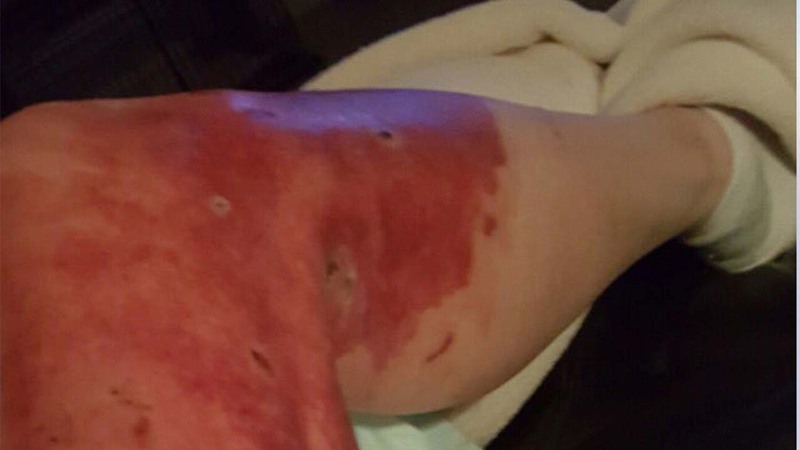 A Navy veteran suffers injuries to his leg after an E-Cigarette explodes in his pocket. Granger said he was at a car show in Austin when he felt something hot in his pocket. "The best way to describe it was like a bottle rocket in my pants," he said. "It burned all my pants up and my whole pant leg was on fire. So I'm just sitting there trying to slap the fire and try to do it nonchalantly, that way I wouldn't be embarrassed." Granger told ABC13 that he will undergo skin grafting on Monday. He has contacted an attorney to determine whether to take action against the e-cigarette maker.